There's almost nothing left inside a PC that could be fitted with RGB LEDs. At least that was our assumption until we came across iBuyPower's suite at CES this year. For the person that has RGB everything, how about some RGB cables to go with it? Technucally iBP isn't adding LEDs to cables themselves here - they are lit up through a cable management piece which connects to the cables as opposed to the cables themselves. 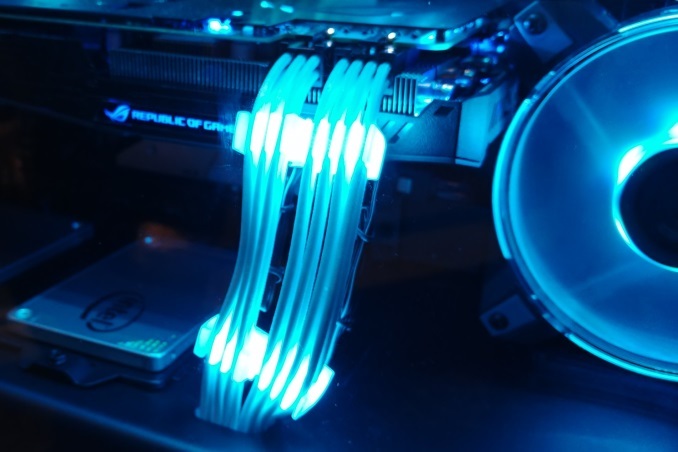 The RGB LED cables to provide their light through cable management attachments which mount to individual cables shining their light down and around the cable path. 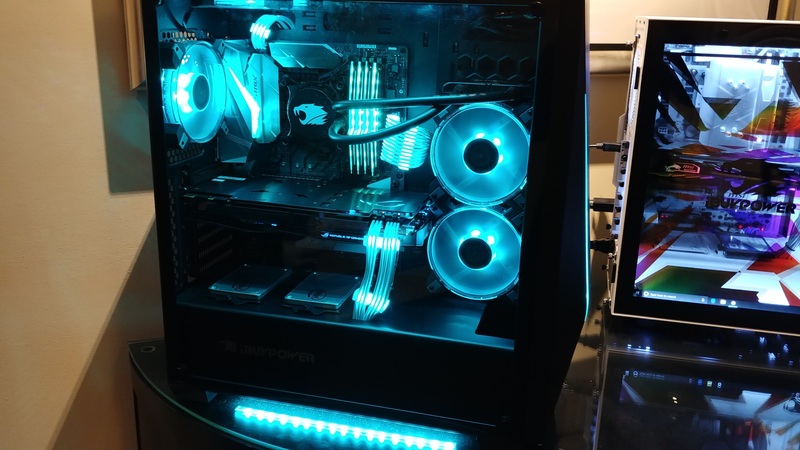 iBuyPower wanted to integrate the lighting right into the cables themselves, however, after testing they found it was not practical as the wires were too rigid among other findings. 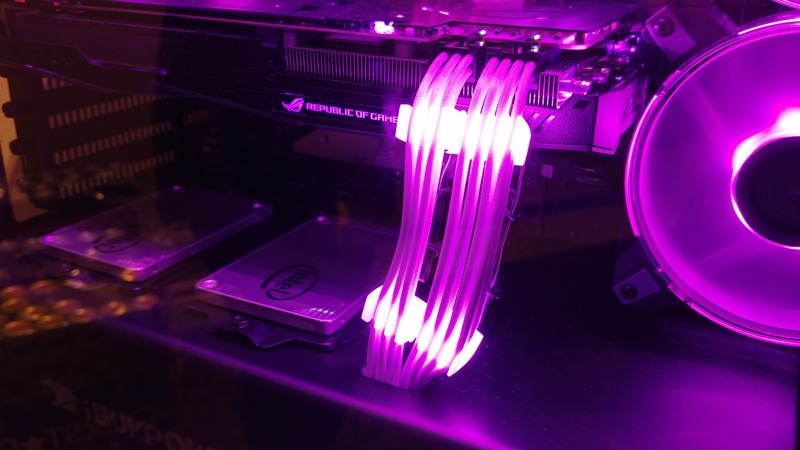 Users are able to daisy chain up to three of these devices which connect to an RGB header on your motherboard allowing you to light up the full length of most cable runs. We imagine the motherboard software is able to control the lighting and synchronize it to the RGB LEDs attached to it. 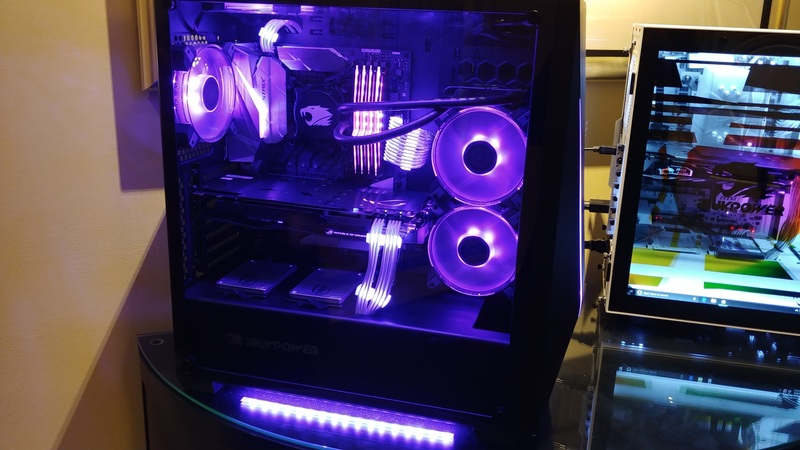 In the pictures, we are able to see these LED connectors on 6-pin and 8-pin PCIe, 8-pin EPS, and 24-pin ATX for the motherboard and is a novel way to show off your custom cabling inside a chassis. iBuyPower did not mention the cost of the device nor when it will be available on the market, but did say they will be sold in packs of three. They are expected to be an optional extra on system builds as well. Not necessarily. Even my ancient PC idles at 60W, more efficient recent desktops maybe idle at 30-40W. Enough LED strips could hit 20W and than you're spending half your original idle wattage or the full wattage of a NAS on lighting. A lot of ppl leave their PCs on all the time now for remote desktoping or using as NAS or other light tasks. It's weird they make such offerings but I guess there's demand for it if they're doing it. IMO a gaming system should not look like a Christmas tree, instead it should be powerful enough to laugh at everything you throw at it. Replace them leds with a few more amps on the 12V rail.